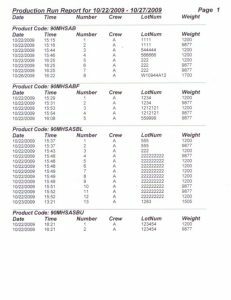 For this application, the customer needed to print and apply a pallet label that included the pallet weight from their scale as well as generate a production report. The FOX IV software communicates with the customer’s Microsoft Access database for the product information as well as with the customer’s PLC via a Kepware OPC Server for the weight information from the customer’s weigh scale. 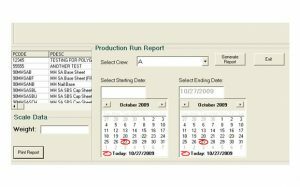 The FOX IV software is also able to generate a date selectable production report.